(M. Berman, "Judges block Arkansas from carrying out series of executions," The Washington Post, April 15, 2017; A. Blinder, "Federal Judge Blocks Arkansas Executions," The New York Times, April 15, 2017; C. Geidner and T. Nashrulla, "Arkansas Scheduled Eight Executions Over The Next Two Weeks — But All Are On Hold For Now," BuzzFeed News, April 15, 2017.) See Background on Arkansas April 2017 executions. 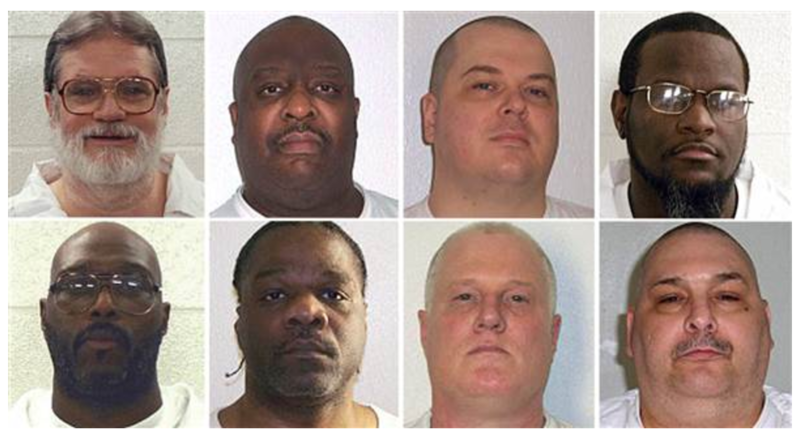 Listen to DPIC's podcast on the Arkansas executions.